According to a Harris Poll, we’re pretty optimistic. Take that, San Francisco. Despite (or possibly because of?) being ranked nerdiest and most redneck among major U.S. cities, Atlanta has secured a spot as the third happiest metro area in America, according to a study released today. Here’s the good news: of the top ten major metropolitan regions included in the Harris Interactive poll, we are the most optimistic about the future. To be fair we have plenty of room for improvement, if other polls are to be believed, including one that just ranked us top for lack of upward mobility. 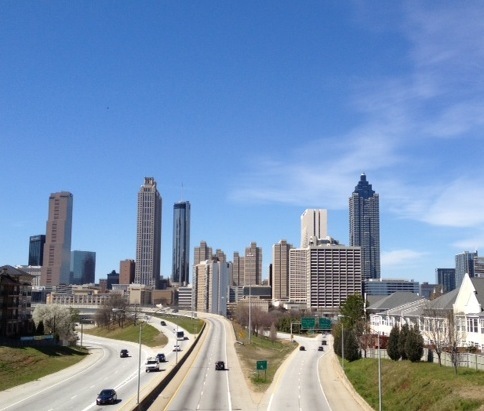 Atlantans are among those most likely to say their spiritual beliefs are a positive guiding force, according to the Harris study. And we apparently even feel like our voices are heard in national decisions that affect us. The study looked at individuals’ perspectives on their lives to determine whether location has an effect on overall happiness. We tied with Philadelphia for third happiest overall, behind Houston at number two and Dallas/Fort Worth at number one.